The heart of beauty, all people have. The pattern embroiders the teacher needs to study esthetics knowledge, enhances the esthetic, enhances the design ability, already is the pattern embroiders the profession the consensus, before you think how to create the perfect eye-brow lip, must know to create the eye-brow lip These basic standard is what, therefore this time Esthetics Foundation is very important. First of all, we can start with the practice line, horizontal, vertical, oblique, all kinds of direction, with a flexible, generally along the structure, plus the overall line. The pull of the line must be quickly and surely, must not grind up 1.1 points. Then it is the type, the outline is very important, a good start is half the success. For the tattoo, we should pay more attention to the touch, and line training. Learn to recognize and judge facial styles, and use facial style knowledge to communicate with customers. 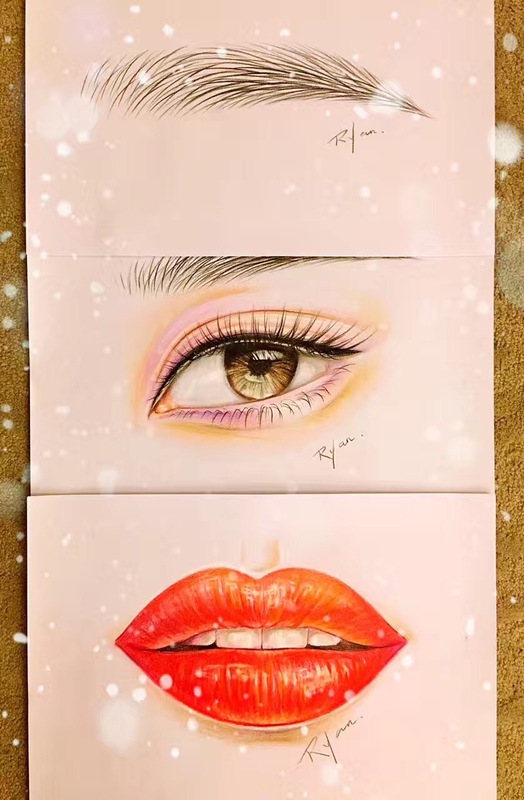 Different styles of facial lip design to practice understanding, facial three Five eyes ratio is also we need to know. Here we speak of eyebrow, eye, and lip. 3. Eyebrow extension cord at the outer side of the pupil. To draw eyebrows first to understand the direction of the eyebrows, eyebrows are along the eyebrow bone to grow, can put brow, eyebrow waist, eyebrow decomposition to draw. Attention should be paid to the bone point in the upper and lower recesses of the eye socket and the eyebrow deep brow of the convex transition through the temporal bone. Eyebrows are space, not affixed to the skin, can not be painted too dead. When you draw attention to the depth of the eyebrows change, do not draw the same depth, pay attention to observation. So notice the distance between them; the most important thing is to catch God. 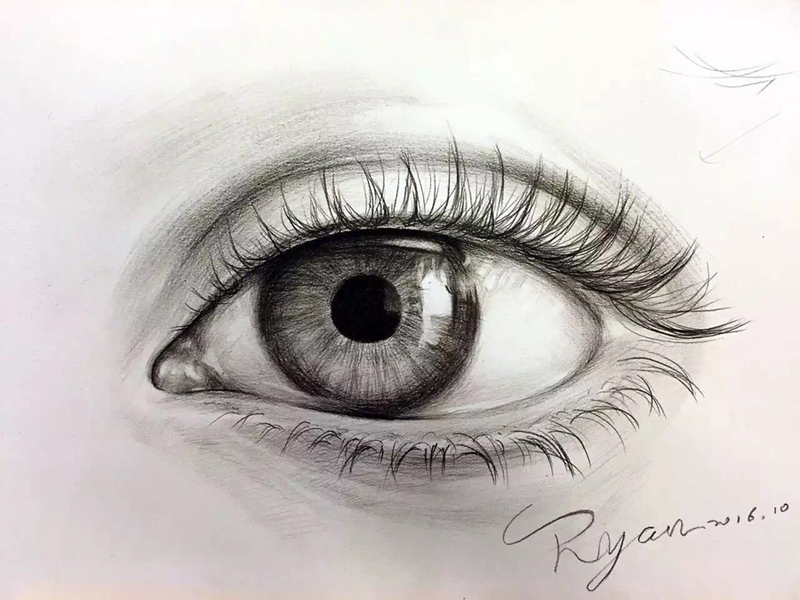 Eye structure is divided into eyes, pupil, lacrimal gland, pouch and other components. Learn to draw good eyes for our eyeliner operation is also a great advantage oh. 1. The upper and lower lip of the light and shade is rich and varied, in the depiction should pay attention to the shape and source and adjust. 2. The middle of the whole lip solid, strong contrast, both sides of the virtual, weak contrast, and the corners of the mouth around the small gray surface can make the mouth softer. 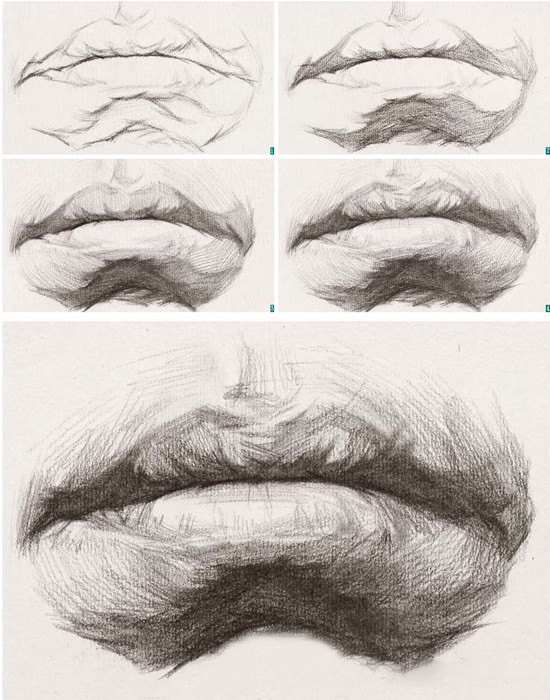 When we are painting our lips, we must first observe the shape of the lips of the object to be drawn, the relationship between the upper and lower lip, and the difference between different people, so we must carefully observe and think carefully before painting. Through hand-painted exercises, we can understand where the shortcomings of our daily design are, because the inadequacy of hand-painted is the inadequacy of your own design. The same portrait, each person to draw out the feeling is not the same, everyone’s understanding of the United States is not the same, the focus of the aesthetic art of heraldry is not to draw more exquisite works, but through the painting experience aesthetic feeling. It is the ultimate goal to design expressive works in the pattern embroidery. Let’s enjoy a piece of Gao Yi Teacher’s work!